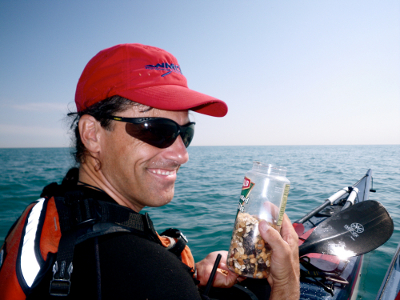 The disappearance and death of Walter Doroba in Lake Michigan waters near Waukegan, Illinois in late October 2007 is an unfortunate reminder that kayaking has inherent risks. 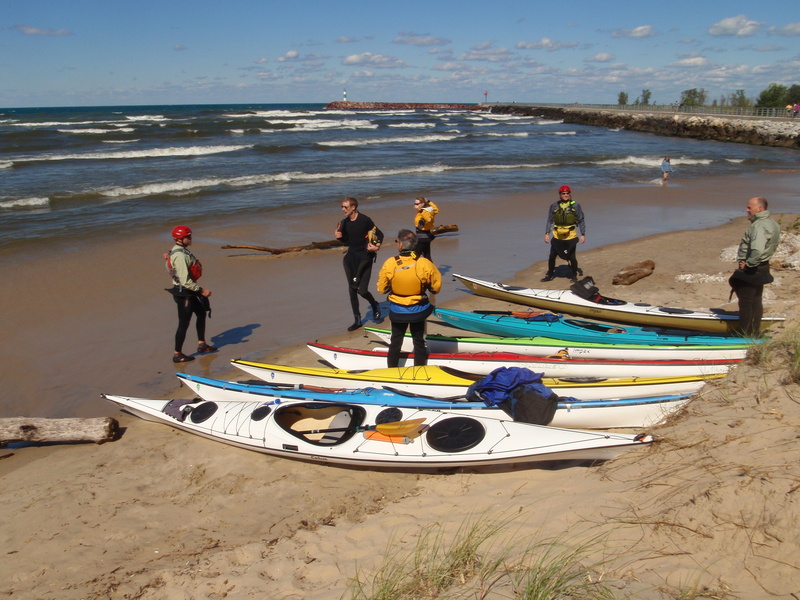 Kayakers can never eliminate these risks, which include drowning and hypothermia, but they can take reasonable precautions against those risks. In approximately half of all kayaking fatalities, the casualty was not wearing a Personal Flotation Device (PFD). Take the time to get a PFD (i.e., lifejacket) that fits comfortably and wear it each and every time you are on the water. Keep it zipped/snapped closed the entire time on the water. All boats operating on Illinois (625 ILCS 45/4-1)waters must carry and, if required, have in operation, acceptable personal flotation devices (PFDs). It is unlawful to operate any watercraft unless at least one USCG-approved PFD of the following types or their equivalent is on board for each person: USCG Type I, Type II or Type III (wearable PFDs). Illinois law requires that all children under the age of 13 must wear a USCG-approved PFD while on a recreational vessel under 26 feet that is underway, unless they are in an enclosed cabin or below deck. Cold shock and hypothermia are major factors in many kayaking deaths. Know the water temperature before you start paddling and use a wetsuit or dry suit as appropriate. Layering using synthetics like fleece and having a warm hat is important in cooler conditions. Bring extra layers of insulation and wind protection when appropriate. There are techniques for getting back into your kayak by yourself or with the help of another paddler. Learn them and practice them. Get comfortable with tipping over, popping your sprayskirt and getting out of your cockpit efficiently. Don't let go of your kayak once you are in the water. Sharon & Alec Bloyd-Peshkin's article on the T-rescue. 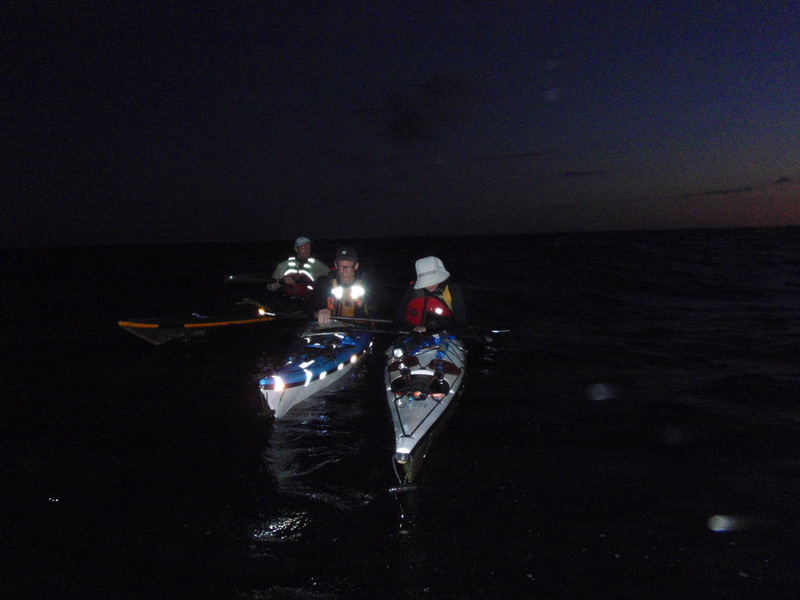 Atlantic Kayak Tours: Rescues Page. Keep a variety of signaling devices in your PFD such as a whistle, flashlight, mirror, and flares. 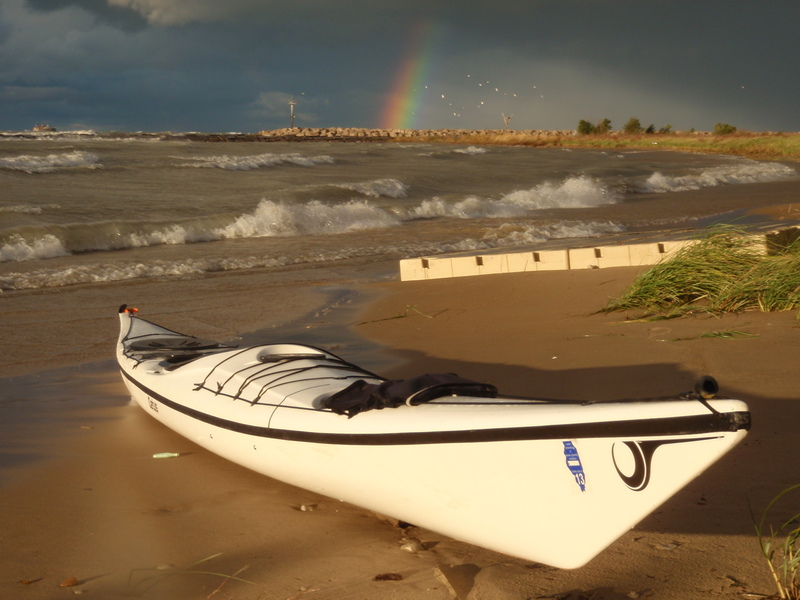 Put strips of marine reflective tape on your paddle and kayak. Vessels under paddles (oars) shall have ready at hand an electric torch or lighted lantern showing a white light which shall be exhibited in sufficient time to prevent collision. 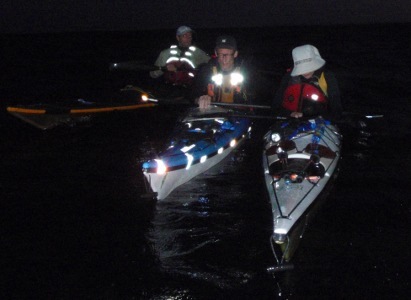 Bill Burton's post summarizing CASKA discussions on paddling safely at night. Keep yourself well fed and watered while paddling. Dehydration and hunger weaken you physically and impair your judgment. Wilderness Medical Institute (WMI) on hydration. File a detailed float plan with friends or family. Let at least one responsible person know where you are paddling, when you are expected back, and when to call for help. Check the marine forecast before paddling. Be especially careful about storms and offshore winds. If conditions are beyond your skill and comfort levels, don’t go out. There is safety in numbers. It is generally safer to paddle with others. 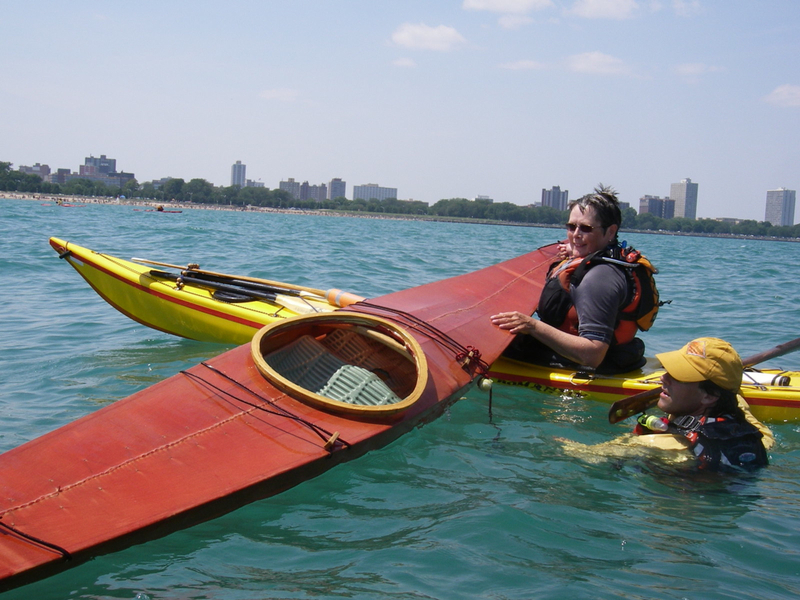 Join a local paddling club (CASKA welcomes paddlers of all experience levels). 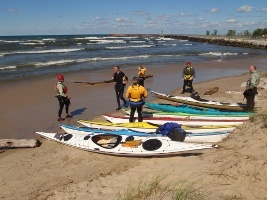 Looking for paddling partners? Check out our Yahoo Group. 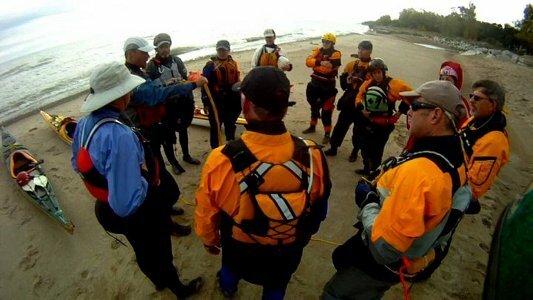 Learn to paddle safely and efficiently and learn the basics of self-rescue and assisted rescue. 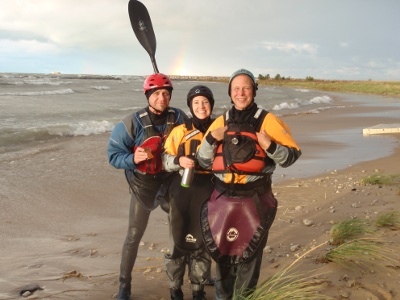 The ACA and BCU both certify kayaking instructors. 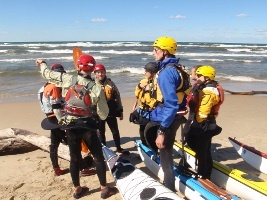 Consider taking a class from local qualified kayak instructors. Match your experience to the conditions. Err on the side of caution, especially when paddling solo. The greater your training and paddling experience the greater the range of conditions you should be able to handle with relative safety. Seaworthy kayaks are designed to handle waves and wind. They have watertight bulkheads and perimeter deck lines. Paddlers wear spray skirts to keep water out of the cockpit. A recreational kayak with no built-in buoyancy is not suitable for big waters just like a sea kayak is risky in technical white-water conditions where a nimble boat is required. 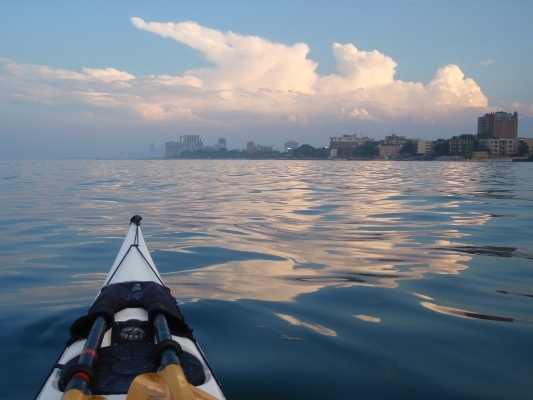 Know the conditions for which your kayak was designed and respect those limits. 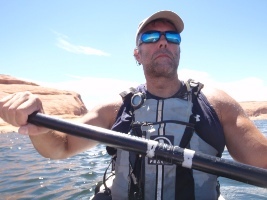 Michael Gray on "Recreational Kayaks"
Bring gear appropriate to your paddling location and conditions, as well as the length of time you plan to be on the water. But be prepared in case conditions change or you are out longer than you intended. At all times, bring food and water, a spare paddle, a signaling device (e.g. whistle, strobe, flashlight), and a communication device (e.g. VHF radio, cell phone in waterproof case). It's wise to bring a basic first aid kit and a boat repair kit, as well as a bilge pump, tow belt, and a dry bag with spare clothing. CASKA Yahoo Group. Post questions to a group of 350 paddlers. Research archived threads for detailed information and opinions. CASKA Blog. 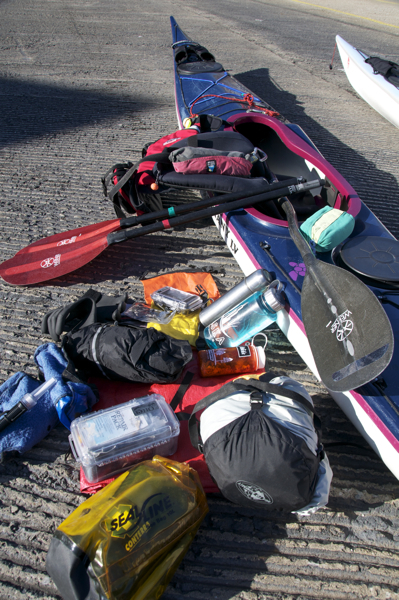 Trip reports, photo galleries, gear and equipment information, and more. Download CASKA's Sea Kayaking Safety Brochure. A summary, reminder, and checklist all in one. Read this before starting your paddling season & be safe! File a float plan! Sea Kayakers has a free float plan template posted for download. Many of these clubs/businesses/retailers offer lessons. Participate in these whenever possible - they are excellent ways to improve kayaking skills and techniques. See the organizations' websites for details.